(PRLEAP.COM) February 6, 2016 - A new study published in the Journal of Clinical Dentistry shows that prescription tray therapy had positive results for patients with chronic periodontitis, the more advanced stage of gum disease. All patients included in the study had been in long-term maintenance therapy and had exhausted treatment options before being prescribed the customized Perio Tray® (Perio Protect, LLC) to deliver a gel with 1.7% hydrogen peroxide into periodontal pockets. Data were collected at tray delivery, at 6 months, at one year and at annual intervals up to 5 years. Significant reductions in gingival bleeding were demonstrated for smokers and non-smokers who used the tray delivery of peroxide once or twice a day for 10 minutes. The clinical and statistical reductions were observed at 6 months and maintained for the length of the study. Gum disease is notoriously hard to treat. It is prompted by infections in gingival crevices called pockets between teeth and gum tissue. Professional dental procedures help address the infections; however, patients have difficulty managing the infections at home because toothbrush, rinse, and floss can't reach deep enough. The Centers for Disease Control and Prevention calculate that 47% of Americans over 30 have the more serious form of gum disease called periodontitis. Millions more, up to 80%, of American adults have gingivitis. The signs and symptoms are hard to detect because the disease often doesn't hurt in the early stages, and the bad breath or bleeding gums that first signal the disease are easy to ignore. Left untreated, the disease can progress to the point where surgery is required. Yet even after surgery, patients struggle to maintain improvements. The lengthy duration of data collection and the patient population make this study particularly important for clinicians. According to the published report, all 66 subjects in this investigation had prior long-term, comprehensive periodontal care, including surgical intervention and ongoing maintenance therapy every 2-4 months, and they were all failing to respond and at high risk for continual destruction of periodontal ligament and alveolar bone. 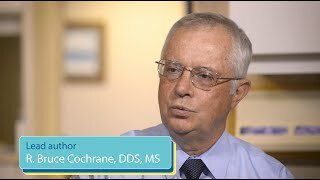 Lead author and treating periodontist Dr. R. Bruce Cochrane explains, "I did everything possible for these patients before the prescription trays. Most had had at least one surgical intervention and continued to bleed in over 50% of their pockets." The substantial 75% median reduction in bleeding gums for these patients after 6 months of prescription tray usage is significant. Also noteworthy is that only 1 tooth out of 1745 teeth was lost to periodontal disease during the period studied. The results indicate significantly improved gum health, but are also likely to have positive overall health and financial benefits. Gum disease is associated with chronic inflammatory conditions like type 2 diabetes, stroke, and heart disease, and treatment for gum disease has been shown to lower both hospital admissions for these systemic diseases and annual medical costs. Actuarial projections for the costs of ongoing dental treatment also show the potential for significant savings for patients who use the prescription tray therapy and are expected to prevent disease progression and require less surgical intervention. All of this is good news for patients who also appreciate the prescription Perio Tray, describing it as comfortable, flexible, and easy to use. 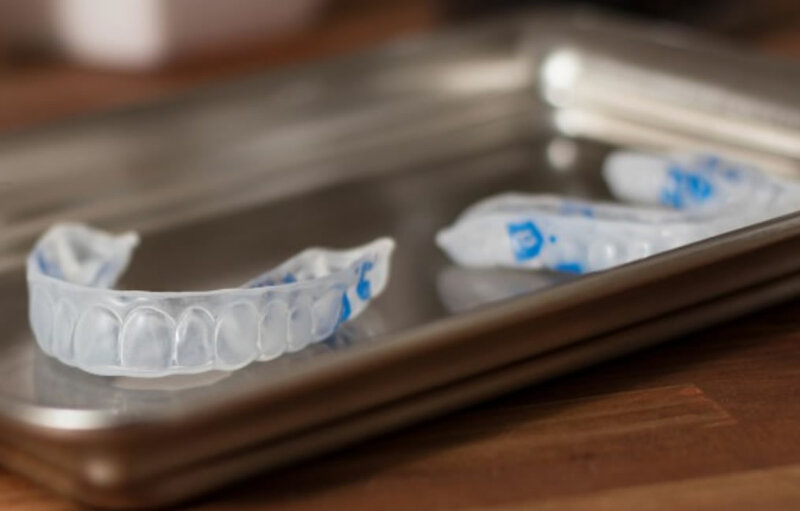 In one controlled clinical trial, all patients assigned to Perio Tray subject groups unanimously agreed that they would recommended the trays to others. Dr. Cochrane's patients reported the tray usage was easy and credited the Perio Tray therapy to their healthier, brighter smiles. The new study is available in abstract form at jclindent.com or in full length at Providers.PerioProtect.com/clinical-research. The article on systemic health improvements and savings was funded by United Concordia: Jeffcoat MK et al. Impact of periodontal therapy on general health; evidence from insurance data for five systemic conditions. Am J Prev Med. 2014 Aug;47(2):166-74. For more information about lead author Dr. Bruce Cochrane, see DoctorCochrane.com. Perio Tray therapy is explained in detail on PerioProtect.com.